Posted at: 3/22/2012 10:28:00 AM . 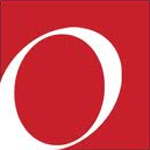 Living Social is currently offering a promotion for Overstock.com. Buy a $20 voucher for only $10. If you place your order through their new shortcut, o.co, you'll get free shipping.